Welcome to Bank Street Medical Group. We are a friendly and caring practice that is committed to offering the highest quality of care to patients in our community. Our ethos is to provide a compassionate, efficient and person centered approach at all times. We recognise the value of continuity of care and understand how important it is to be able to access the appropriate support when it is needed. The practice list size is approximately 7,500 patients and you can find details of our catchment area here. The team is made up of 5 doctors, two nurses and a team of administrative and support staff. Click here to find out more about the practice team. 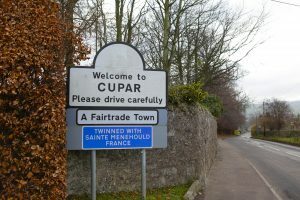 Bank Street practice is situated within the Adamson hospital site in Cupar. We share this site with our local community hospital, hospice and minor injuries unit. The doctors in the practice also contribute to the care of patients in the hospital and minor injuries unit offering a holistic service. We are also fortunate to have several other services on site including x-ray and physiotherapy. We are able to work regularly with other health care professionals in the same building. The practice is proud to be accredited for training at post-graduate and undergraduate level and regularly supports doctors in training at various points in their career. We are accessible to those with disabilities and are very mindful of the needs of patients who may need assistance to access care. The practice is open from 8am top 6pm Mon – Fri and you can find details of how to book an appointment or contact the practice here.